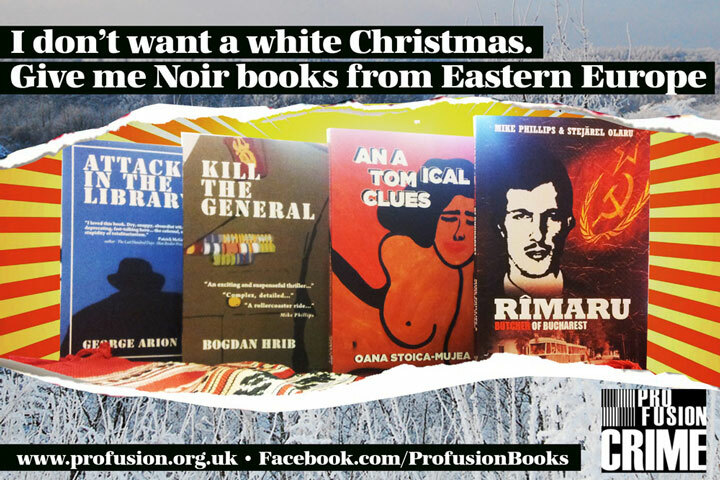 It’s time for you to give the gift of Noir from Eastern Europe! Special offer for the holidays - Buy 3 books for the price of 2! Offer valid until the end of December 2012. Order early to ensure delivery before Christmas! It is advisable to order your books by Tuesday 19 December 2012 to make sure they will reach you before Christmas. Books can also be purchased by cheque. Send an e-mail at mail@profusion.org.uk for details. The Romanian Film Festival in London is organised by Profusion International Creative Consultancy, in partnership with The National Centre of Cinematography in Bucharest and Curzon Cinemas in London. It is a unique opportunity to enjoy a showcase of Romania’s most exciting new films, between 22- 25 November 2012, at Curzon Renoir Cinema, in the heart of Bloomsbury. See you on the red carpet!